Board at our base in Zaton. Visit the ship for a safety briefing, then dine in the village and spend the night. 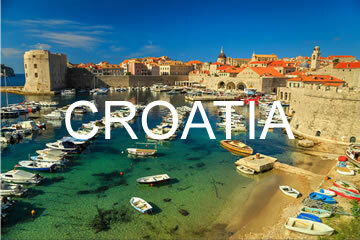 After a quick sail, you'll reach the picturesque island of Prvic. The atmosphere of the island is like no other - the quaint villages of stone houses exude tradition and history. Depart via the beautiful Kornati Channel. Stroll through the picturesque fishing village of Sali to soak up the island life. Dock in front of the village and choose a spot to eat dinner ashore. Anchor overnight in the beautiful Jelici Bay after a stopover at Telascica. Sail to the island of Murter, which boasts several restaurants and lively nightlife. A sail through the "sea of Murter" takes you along the side of the Sibenik archipelago into the Krka River. The waters are rich in delicious fish, squid, and other delicacies. Skradin, the village at the end of the channel is known worldwide. Stroll through the village streets and taste the local specialties. It's the ideal place to buy souvenirs and local products such as olive oil. Stroll in the village of Skradin. 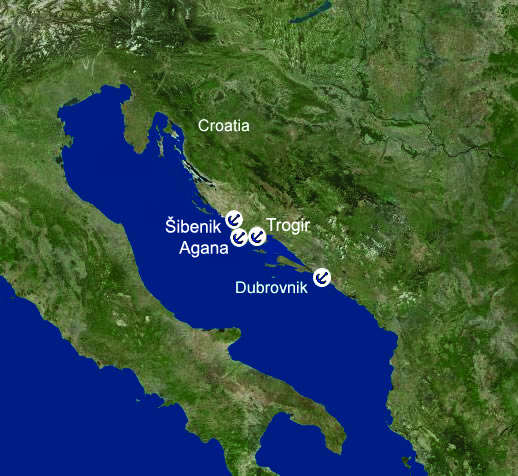 In the afternoon, drop anchor for a while before returning to Sibenik and Zaton.